Find perfect gifts with our Christmas gift guides! The time is coming, now don’t panic! If you are organised you may have already got ahead with your gift buying – however some of you (us included!) are maybe a little slow off the mark. Relax, don’t worry we have put together the perfect gift guide to help you find the perfect gift for that special someone. Whatever your budget, we’ve got something for you! · Animal Bed Socks £9 Keep cosy and warm with these fun festive bed socks. · Farrah Sweet Assortment £10 Sweet treats perfect as a Christmas stocking filler. ·Pretty Petal Gift Set £15 Perfect for a relaxing soak once the festivities are over. · Pendant & Earring Set £15 This elegant matching jewellery set makes a memorable gift. · Printed scarf & Watch £17 A stylish way to add the finishing touch to any festive outfit! 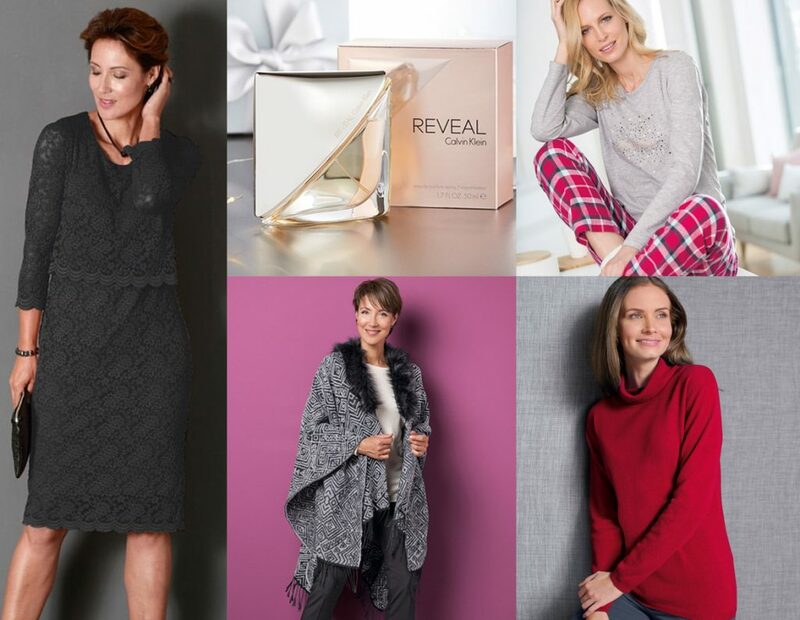 · Winter Pyjamas £29 Keep the cold at bay this Christmas with these snuggly pyjamas. · Printed Wrap £29 Wrap up this winter with this stylish layer with faux fur trim. · Calvin Klein Reveal £45 This eau de parfum spray will be a hit on Christmas morning. · Lace Dress £59 This dazzlingly elegant dress will brighten any festive occasion. · Cashmere Sweater £75 A lasting gift that’s luxuriously warm with natural softness. For even more fantastic festive ideas, visit our Christmas Shop!